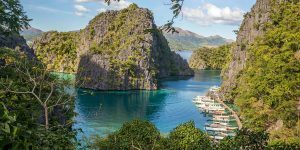 Puerto Princesa is one of the most visited cities in Palawan, Philippines. And for good reason, the famous Puerto Princesa Underground River, recently voted the 8th wonder of the world is located in Puerto Princesa. 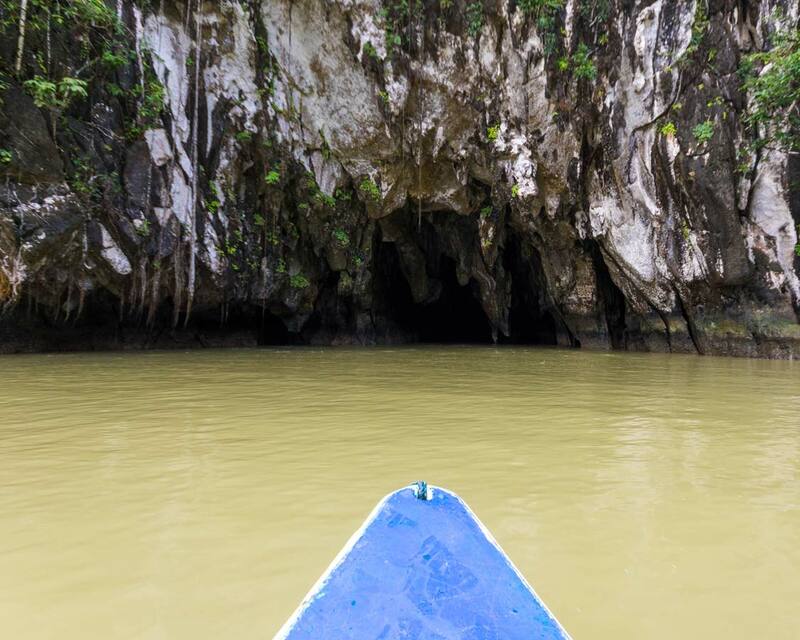 In fact, we discovered there are many caves in Puerto Princesa worth exploring. And with so much popularity comes many great, and not-so-great Puerto Princesa Underground River hotels. 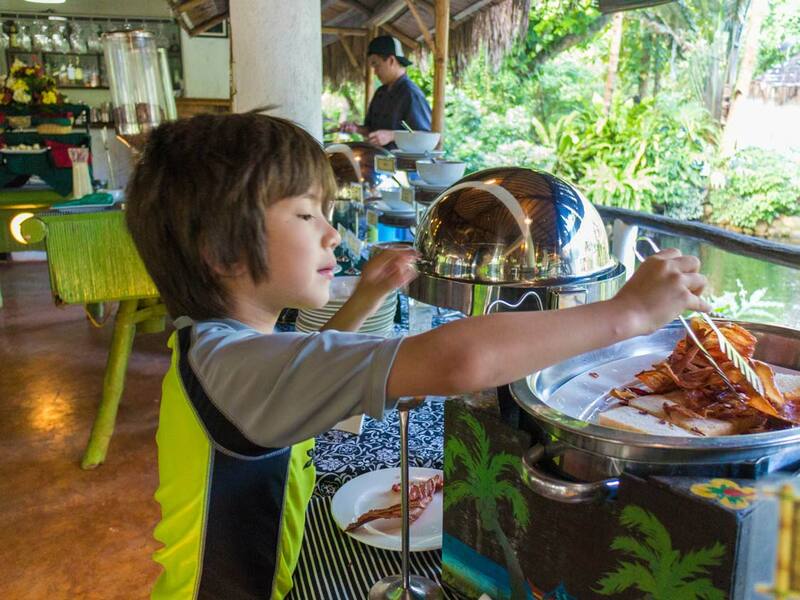 So, where should a family base themselves when touring around Puerto Princesa? 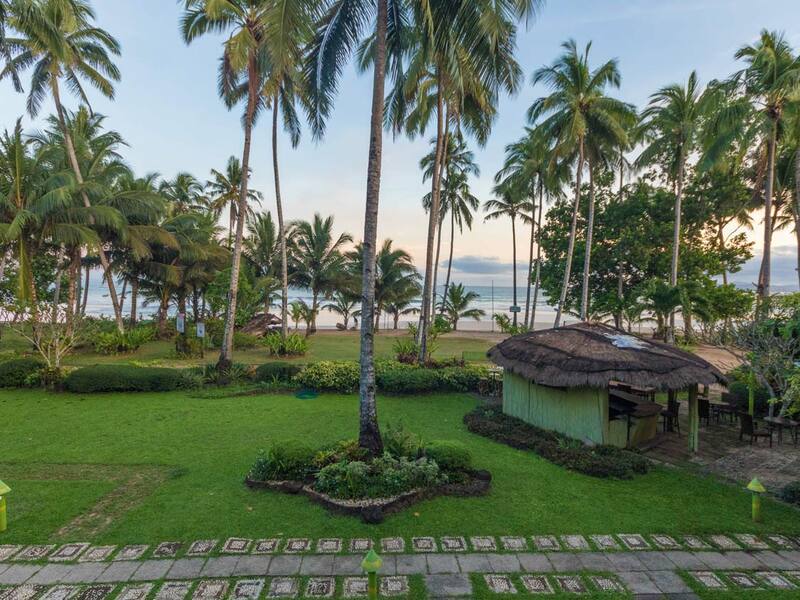 Our favorite hotel in the region is the Daluyon Beach and Mountain Resort in Sabang. Here’s why. Most visitors to Puerto Princesa stay at accommodations in Peurto Princesa town. There are many hotels are conveniently located close to the Puerto Princesa airport. And that means the commute to the main city is not that long. 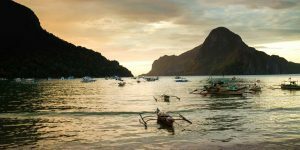 With lots of great attractions nearby to Puerto Princesa town, such as Honda Bay and nearby Iwahiig for firefly watching, choosing accommodations in Puerto Princesa town is a great choice. 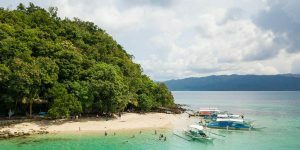 However, for those making a trip to the Underground River in Puerto Princesa, staying in Puerto Princesa town means waking up very early to complete the 2-hour journey north to the town of Sabang. 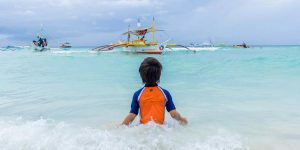 As a family with small children, we wanted to have a more relaxing day instead of spending so much of one day commuting from Puerto Princesa to Sabang. 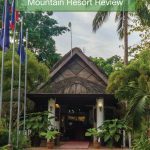 So, after a great stay at Dolce Vita hotel in Puerto Princesa town, we made our way to Sabang to relax at the Daluyon Beach and Spa Mountain Resort, one of the best hotels near the Underground River in Puerto Princesa. How to get from Puerto Princesa airport to Daluyon Beach and Mountain Resort? 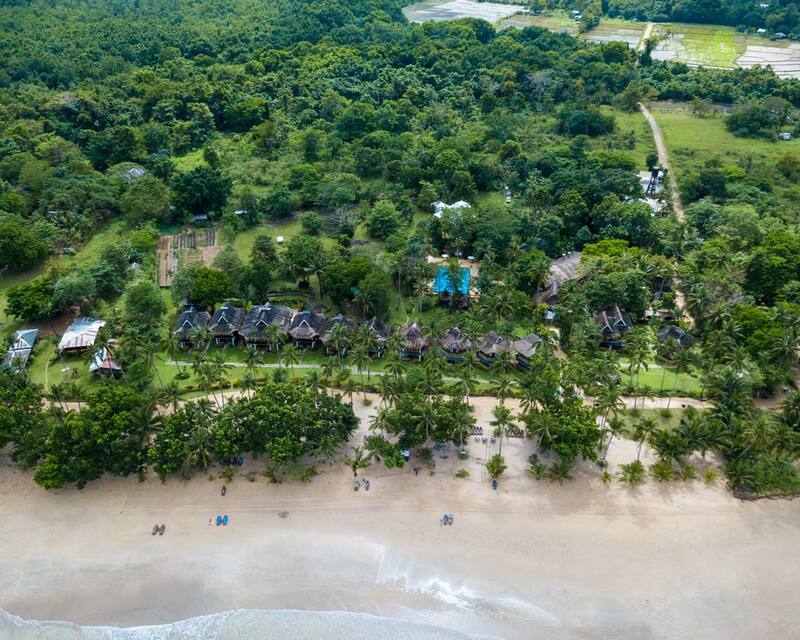 Daluyon Beach and Mountain Resort in the town of Sabang, which is approximately 32 km (20 miles) north of the Puerto Princesa International Airport. While most maps will show this drive as being about 45-minutes, in reality, the route takes closer to about 2-hours due to poor road conditions, slow traffic, and of course, the numerous places to stop for photos along the way. There are many for-hire transportation options that you can book to make the drive from the airport to the resort. Transportation can also be booked directly with Daluyon hotel Puerto Princesa beach resort. Pro-Tip: Make the drive to Sabang during daylight hours. The scenery from Peurto Princesa International airport to Daluyon Mountain Resort is breathtaking. You will want to stop lots to take pictures. 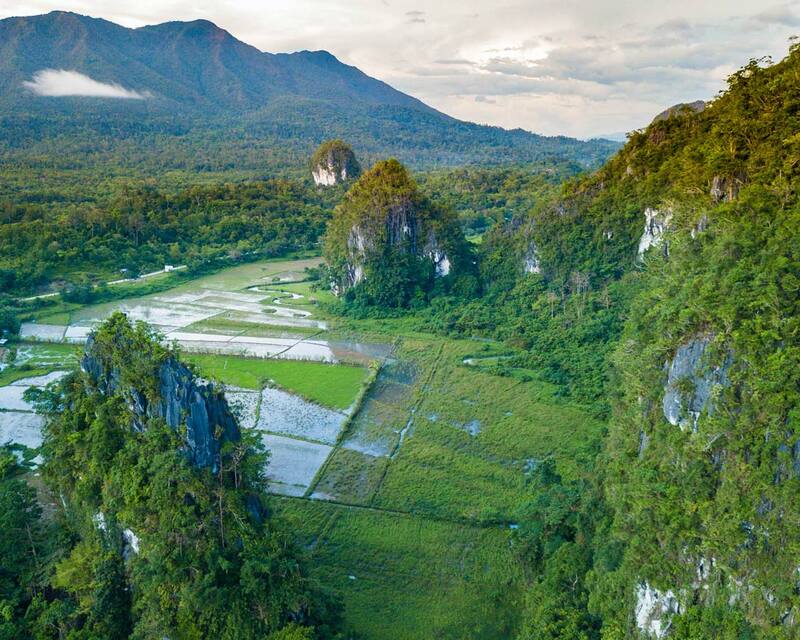 Like this stop at Elephant Cave, we made to admire the beautiful karst mountains of Puerto Princesa. After the slow drive on the rough back roads of Puerto Princesa, we finally reached the outskirts of Sabang. The van pulled on a nondescript road and led us past a small gate down a sketchy, pothole-filled road. As I was getting out of the van, the kids were excitedly jumping up and down. At the walkway leading to the reception area is a large welcome board that notes all the guests that are arriving and leaving for the day. C had found our name surrounded by lights. It’s not often that we feel like celebrities when checking into a hotel, and this small feature made us feel pretty cool! When we started to question just where we were heading, the front of Daluyon Beach and Spa Resort came into view. It turns out that all of the Puerto Princesa hotels near the Underground River are accessed via this route. The sky was glimmering just as the sun was starting to set. We learned that there are two roads to get to Daluyon hotel, and this one was actually the least uncomfortable to drive on. We made our way to the check-in desk at the open-air reception area and were provided with fresh fruit shakes and a cool towel. After a quick briefing about the resort activities including what we needed to know about our upcoming tour of the Underground River the next day, we were off to freshen up in our cabin where our luggage was waiting for us. There are 6 room types at Daluyon Hotel in Sabang. The smallest room is the Garden Casita which can accommodate up to 3 people. The largest accommodation choice is the 3-bedroom Daluyon suite which comes with its own private pool. As we were traveling with my parents, we opted for the 2-bedroom junior suite. 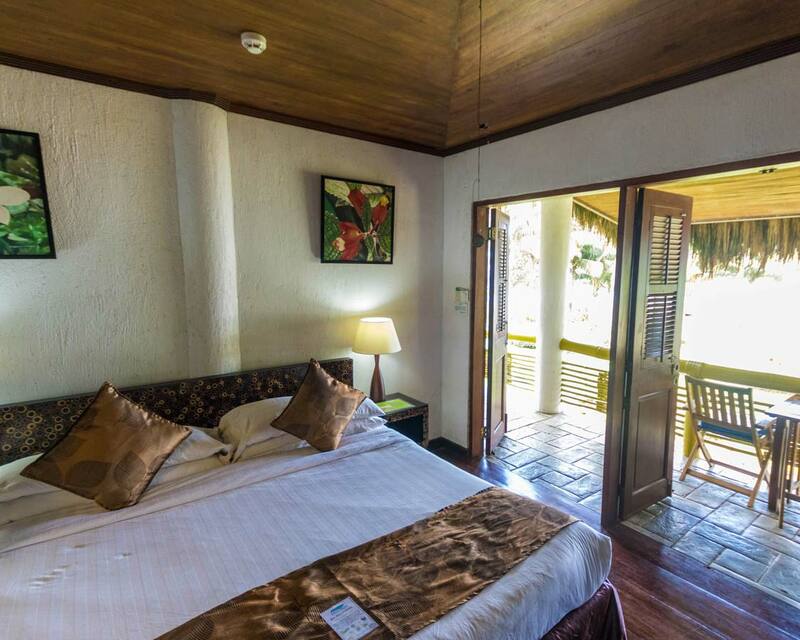 The Junior Suite at Daluyon Resort has two rooms, both with a king-sized bed, adjoined by a common living room. For our boys, the hotel included two very comfortable cots and placed one in each room. 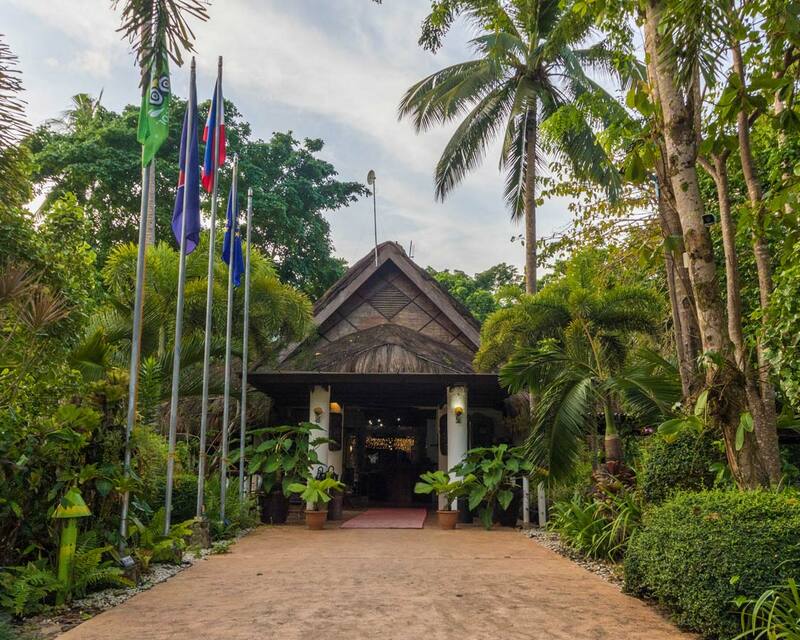 All the buildings Daluyon Beach and Mountain Resort are designed in the traditional native style. Daluyon also prides itself as a green hotel and is a member of the Zero Carbon Resorts group. This meant energy-efficient lighting and air-conditioning, low-flow showers and the use of environmentally friendly materials in the buildings. We really appreciated all the doors that opened wide onto the wraparound balcony. It provided sweeping views of the beach and unlimited fresh ocean air. 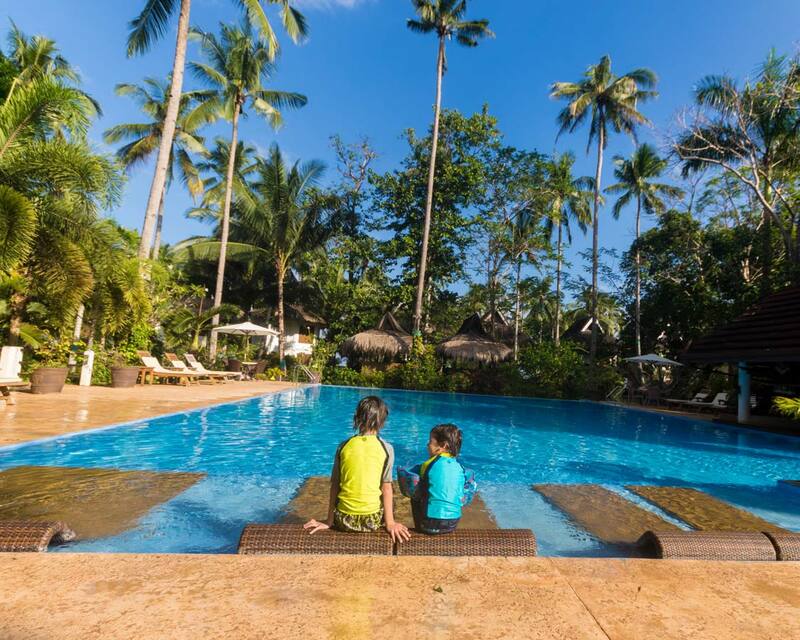 For those that do not want to swim in, or just need a break from the ocean, Daluyon Resort and Spa has two pools: an adult pool and a kiddie pool. During our visit, much to our kids’ delight, the pools were almost always empty. There were no lifeguards on duty and no pool toys around. But the kids didn’t mind at all. The pool offered a refreshing break from the hot sun of the Philippines. Also, nearby was the onsite gym, massage huts, and pool table. It is also possible to have an in-room massage at the Puerto Princesa Daluyon resort. Unfortunately, we spent so much time playing at the nearly-empty beach that we couldn’t take advantage of the great massage price or the available babysitting services. One of the other reasons I wanted to stay at Daluyon Beach and Mountain Resort in Sabang (besides it’s proximity to Sabang port and the Puerto Princesa Underground River) is the food. 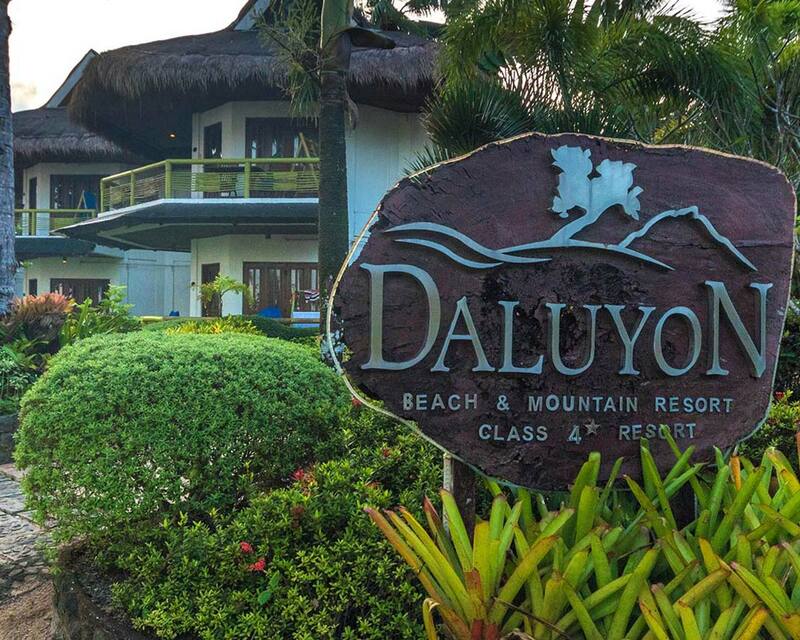 Daluyon resort is famous for serving delicious, locally sourced fare. Included in the room rate is the buffet breakfast. The food was plentiful with a good variety. There was also an omelet station and fresh juices were available daily. One small feature at the Daluyon Hotel restaurant that completely amazed us was a small side-table that was offered to diners. This table was just the right size to put down your cameras, phones, and other gadgets that might otherwise clutter up the table and take away from the dining experience. It was a small thing, but it’s something I wish other restaurants would offer because its simplicity and effect on our dining blew our minds! We also wanted to try dinner at Pawikan Restaurant (which is the name the dining area takes on during dinner timer) and we were not disappointed. The meals were beautifully prepared but more importantly, the dishes were very tasty. My favorite had to be the shrimp Sinigang with prawns the size of my hand! The only negative of the restaurant is that the food does take some time. However, the kids didn’t seem to mind as they slurped their mango smoothies. 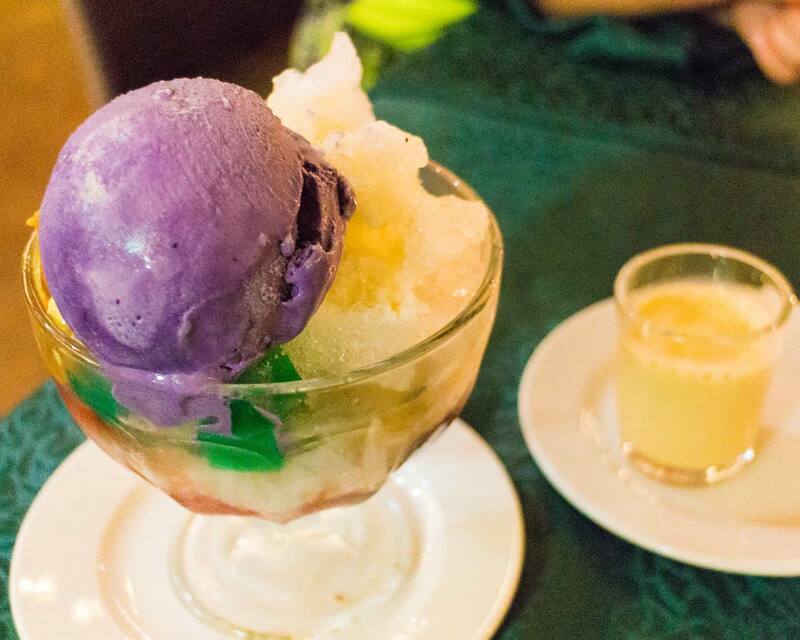 C absolutely fell in love with his colorful Halo Halo desert. 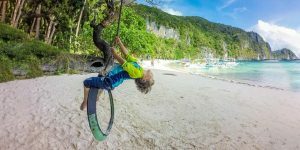 The convenient beachfront location of this beach resort in Puerto Princesa Palawan means fun in the sand when staying at Daluyon hotel in Sabang. The kids enjoyed countless hours making and breaking sand castles. They also tried skimboarding along the calm shoreline. Kevin and I also set out in a double kayak to explore the coastline. The waves further out from the beach w was strong but once we got past the waves, it was a relaxing ride. All non-motorized watercraft was readily available for rent at the Beach hut on site. It is also possible to rent a motorboat or even join a fishing excursion. Unfortunately, the fishing excursions left very early in the morning and we chose sleep over some epic fishing opportunities. 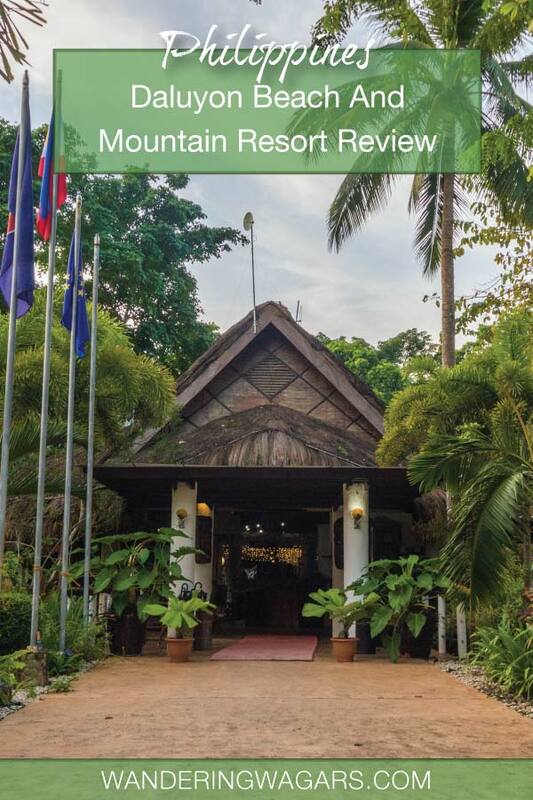 Do We Recommend Daluyon Beach and Spa Mountain Resort near Puerto Princesa Underground River? Daluyon Beach provided a relaxing getaway from the chaos that can surround you when you are visiting tourist hotspots like the Underground River in the Philippines. 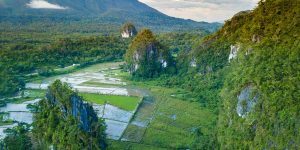 The surrounding jungle offers incredible hiking opportunities. And with the ocean right outside your door, taking a plunge was not a question of if but when. 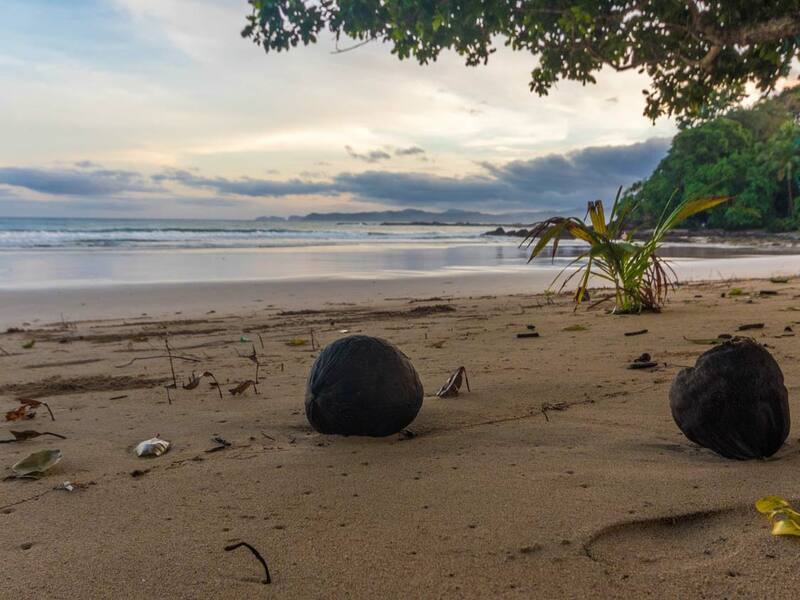 Access to this great, and quiet beach is another reason to choose Puerto Princesa hotels near the Underground River. Disclosure: We received a discounted rate and complimentary use of non-motorized water sports equipment during our visit at this hotel. As always, our views remain our own. Wandering Wagars is a participant in the Amazon Services LLC Associates Program, an affiliate advertising program designed to provide a means for sites to earn advertising fees by advertising and linking to amazon.com, amazon.co.uk, amazon.ca. Amazon and the Amazon logo are trademarks of Amazon.com, Inc. or its affiliates. Disclosure: We received a discounted rate during our stay at the Daluyon Beach and Mountain Resort. As always, our views remain our own. Wandering Wagars is a participant in the Amazon Services LLC Associates Program, an affiliate advertising program designed to provide a means for sites to earn advertising fees by advertising and linking to amazon.com, amazon.co.uk, amazon.ca. Amazon and the Amazon logo are trademarks of Amazon.com, Inc. or its affiliates. 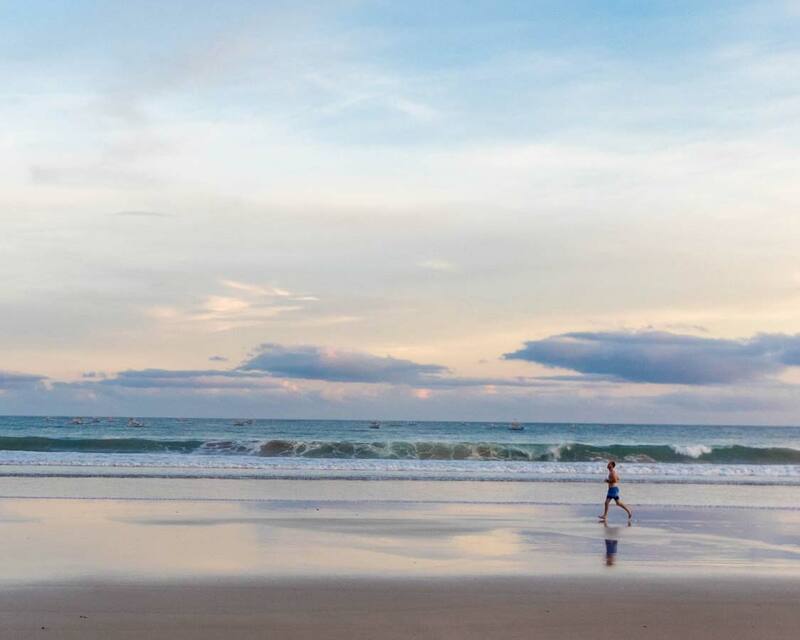 Click Here To Read: Should You Skip Boracay And Head To San Vicente Palawan Instead? Wow this resort looks great for families and I love the tropical setting! I love, love, love the islands that make Palawan. I have not been to Puerto Princesa, though, as we had limited time. We only got to see Coron. Saving this for sure for our future visit to the Motherland. This resort looks absolutely gorgeous! You can’t go wrong in Coron. It’s absolutely beautiful there! 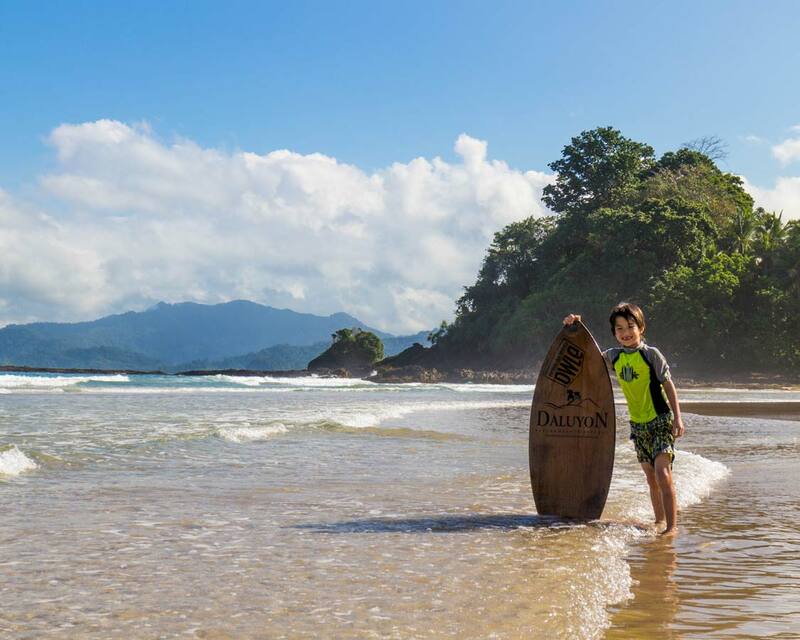 The Daluyon Beach and Spa Mountain Resort looks like a great resort for families or anyone really. I like that there is a separate kid and adult pool but I would love to splurge for a room with a private pool. It does look pretty tempting doesn’t it?! Wow, the views are gorgeous, the rooms nice, and the beach and the underground river – cool surprise! Looks like a top resort!